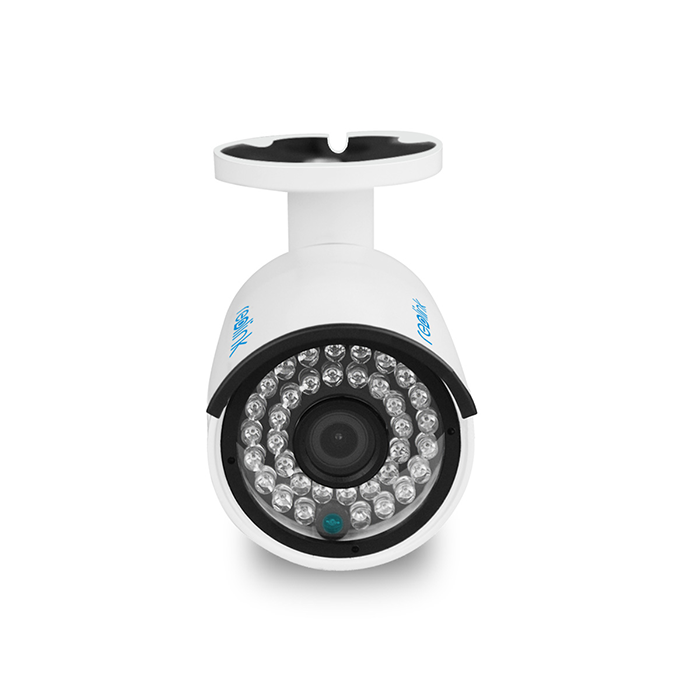 4MP HD fixed lens PoE bullet IP security camera, with good night vision, motion detection, remote access, plug and play. 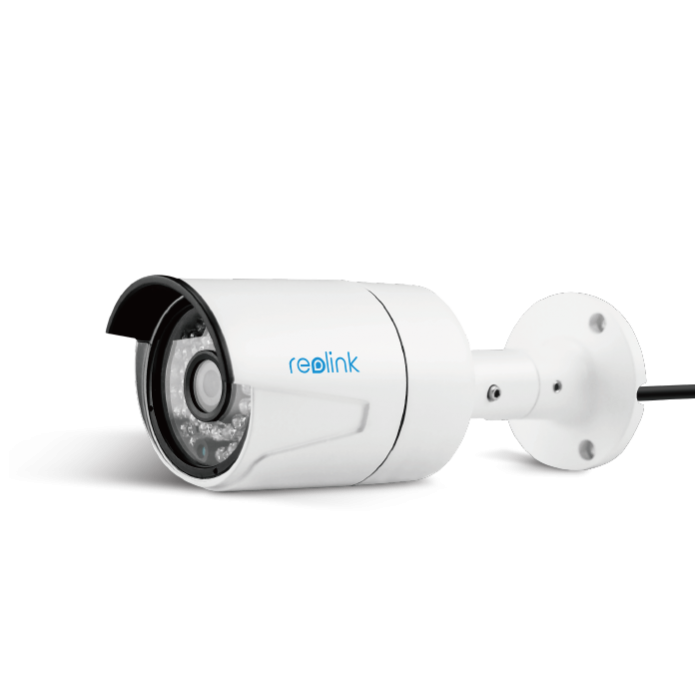 • Whenever a danger is detected, Reolink RLC-410 IP surveillance camera will trigger alerts by immediately sending alert e-mails and pushing notifications to your device. It also uploads and saves captured images/videos to a FTP server. • You can create specific motion detecting zones to monitor certain areas as you want. 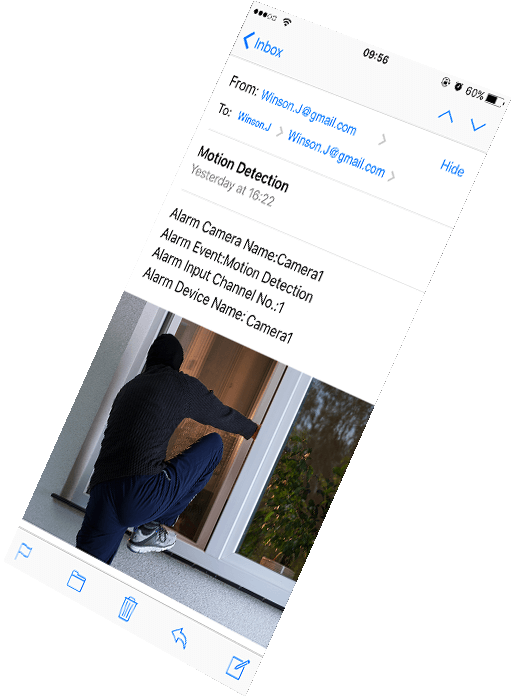 • You can adjust motion detection sensitivity to reduce false alerts. High quality video and easy to install. The 4MP sensor provides a great picture quality out of the box with good night and day video. You may need to tinker a bit to get the best quality night time video and Reolink support is happy to help. The native mobile app and DVR work really well with the camera, but you may have issues with some third party apps like Tinycam. Recent updates to Blue Iris have improved the integration at 4MP and if you prefer to use a different NVR you can always drop the video down to 720p or 1080p directly in the camera config to work with your system. Hi Josh L., thanks for your review! If there is anything we can help you with, please do not hesitate to keep us informed at support@reolink.com. Fantastic camera at a great price. Simple installation and I love the fact that this is POE capable. Just run one network cable and you’re done, no separate power cable needed! I am using this camera with my Synology Diskstation’s DSCam software. My Synology NAS box recognized the camera right away using the ONVIF camera standard. Day and night video quality is great and I am really surprised how clear the night video is. This camera definitely lights up the cul-de-sac at night! Hi, Can I know if your Synology Disktation capable of coping with recording of 4MP@30fps? Excellent camera with 4mp at the lowest price on the market. This camera is for the DIYer. Only premium features on the things we care about like great viewing angle, great night vision, great resolution. None of the stuff that I needed like wireless, SD card slot or even power adapter. You only pay for what you need and there is no middleman to mark up the price. You can set up your own POE switch and NVR from an old PC and you are good to go. Reolink is the best camera , I have other cameras like foscam,amcrest but Reolink stand out compared to all others. Reolink Stands out because of the quality of the image,easy to use. I would definitely recommend this to all my friends & family. Pls keep producing these high quality cameras. I recently purchased four Reolink 410s, after I saw a friends setup. I’ve tried all sorts of other IP cameras to include to Dahlua, Hikvision and some off-brand onvif compatible ones. I ordered my cameras from Amazon and they were literally here the next day for a better price then I could have ordered dahua or Hikvision from China or a 3rd party seller. I was really impressed with the form factor as I prefer the bullet camera, however the the build quality of the mount was much better than I expected. One of the most aggravating things about setting up IP cameras is the various software and firmware each camera has. The new firmware allows you to set up the camera without relying on Internet Explorer active X plug-ins which means you can use Chrome, Firefox or your other favorite browser. I really appreciate this feature as it makes it a lot easier to set up. The video and audio quality is impressive on this camera, to include night vision. Even in my dark spots at night I don’t have a lot of snow or artifacts in the picture. Overall I’m extremely pleased with reolink and these cameras. If I had one complaint it would be the lack of various focal lengths. The 410s are 4mm, I hope Reolink offers various lengths in the future for areas that need more or less coverage depending on your setup. Thank you for your support and we are glad that you like the camera. We do have a RLC-411 that is a zoom enabled bullet camera with 2.8~12mm focal length for your information. This company’s cams have a very clear picture. When you factor in the price point they are just awesome! The newer firm wares and software have made these easy for anyone to set up and use. POE is the only way to go for a wired cams. Some vendors charge extra for a POE option. With there NVR this is truely Plug N Play. I when asked what to buy always recommend ReoLink products. I was very happy with the ease of installation, as I’ve used many other brands of cam’s that were not. After getting them setup, I was also pleasantly surprised at the quality of the video. I am running this camera via POE, and my recommendation is to do this versus wireless…yes: it’s more effort and some expense to do this, but the reliability and quality is so worth it in the long run. Ordered 3 RLC 410 cameras and so far I have been impressed with the build quality and the ease of setup. Picture quality is great for the price and at 4MP. I am currently looking to use these with a zoneminder NVR setup, a reolink NVR or the stand alone reolink client software along with a FTP server. Still comparing the options. I did a lot of research on Amazon, reading many user reviews, and settled on the Reolink 410. It had the highest reviews for the capabilities I needed and was priced well too. It really is an easy setup and install. I had a minor problem with configuration within a work environment, but when contacting support by email I got a quick response back (less than 4 hours) and my problem was resolved. The camera picture quality is great, and the recording software is easy to use. A great buy! Excellent product, a real high quality feel to the item and it exceeded my expectations with regard to the quality of the image. Hands down, best value for money with competitors costing more for lower resolution product. Fantastic back up support as well with replies from support coming within one day. Thanks! I recently purchased eight of the RLC-410 camera’s. Installation and setup was very easy. The camera’s are in a robust housing and well built. Video is high quality and the night vision is surprisingly good. If your recording play with the settings to achieve the best file sizes for your deployment. Overall just a great system. Hi Sean T., thanks for taking the time to write review and sharing your good experience with us! 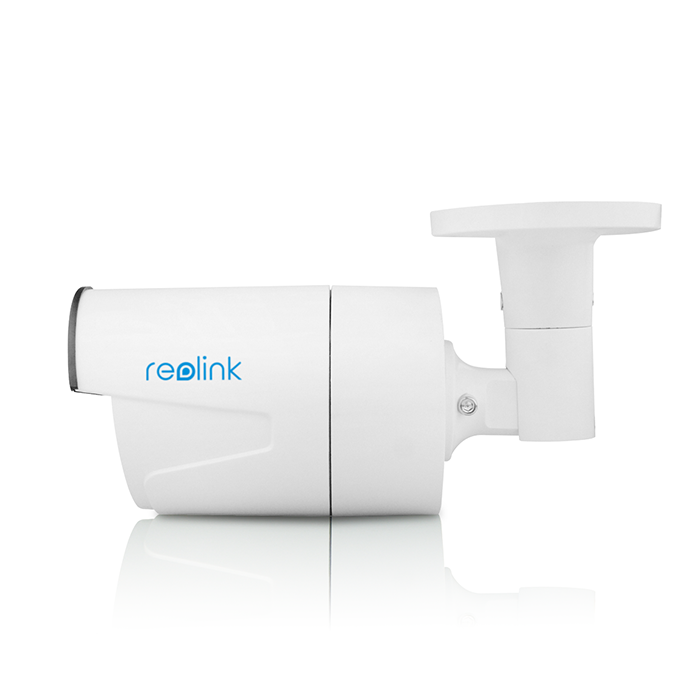 Also we suggest users to use a Reolink NVR to get the best experience if they had more than 4 Reolink cameras. I bought two of these cameras last spring and performed the network cable runs through my attic to get them connected on my Eaves. The single cable runs were fantastic and allowed my to do this on my own. I purchased a POE switch to get them power easily and integrated them quickly into a Blue Iris server thanks to a proper ONVIF adherance. Due to limits on my Blue Iris server setup (not enough RAM, and too many cameras overall) I’ve had to drop down the resolution to 2MP which still produces fantastic video quality. Looking forward to upgrading my server to be able to bump up the video quality to the maximum 4MP. These two cameras have been performing flawlessly even as temperatures here in Canada have dipped to nearly minus 30 Celsius! Very impressed with their cold weather functionality. I’ve used the iphone app a lot to view these cameras remotely and even tweak them while not at home. The Blue Iris app is fine for viewing the feeds, but the ReoLink App allows for so much more beyond basic video watching and really should be used in tandem. The Web interface for updating firmware and tweaking other settings is also super easy to navigate through, but with the functionality built into the mobile app, I only use it to update firmware occasionally. Infrared performance has been phenominal as well for the size of yard I have with it making an area 30+ feet away bright as day. Haven’t been able to test their true night time limits though. The only challenge I had was that I needed to ensure the cameras were angled in such a way that the IR LEDs didn’t illuminate my white stucco walls for at least 8’+ or else the video seemed washed out (too much IR light). Simply changing the mounted angle a little on the cameras optimized things. Hi Chris, thanks for your nice review and supports on Reolink! Hi Jeff Davis, thanks for your review and we can’t wait to tell you how nice it is to hear words of encouragement, appreciation and praise. 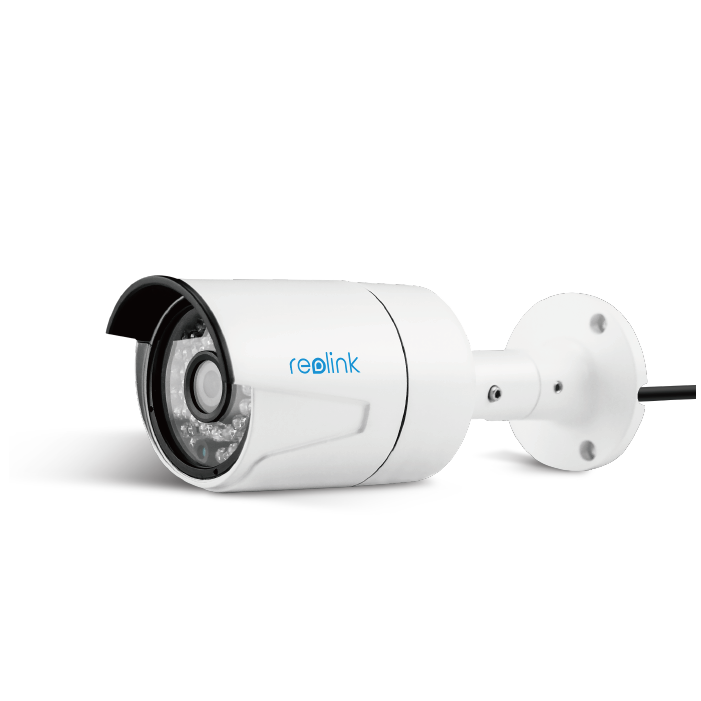 Also we suggest users to use a Reolink NVR to get the best experience if they had more than 4 Reolink cameras. I was in the market for updated HD webcams for the specific purpose of then being used as weather webcams. I reviewed many camera systems and makes, but settled with Reolink based on excellent reviews and the fact that (1) no cloud subscription service is required and (2) you can FTP you images to the FTP server of your choice, and in my case, I wanted to send my images to WeatherUndergound. To say that I am satisfied would be an understatement. Talk about truly “plug ‘n play”. Absolutely the easiest camera set up I’ve ever encountered and every single one of my 3 RLC-410’s installed as expected. They produce EXCELLENT quality pictures during the day and have had ZERO issue with them since purchase. Just a CAVEAT: If you plan to have these cameras providing very high bandwidths with no dropped frames etc, make sure you invest in an excellent router. My 3 RLC-410’s (attached photo shows 2 of the three) are mounted on a pole with my personal weather station(PWS) with 100feet of CAT6 flat ethernet cable to a PEO injector in my garage. 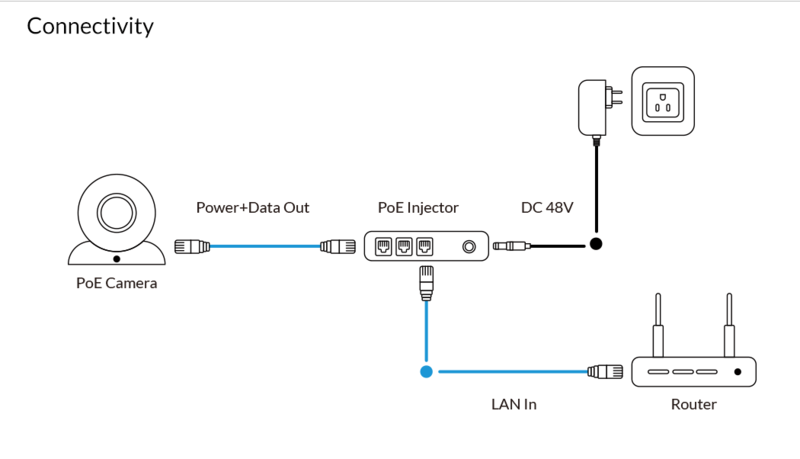 This injector is connected to the satellite (wifi extender) of my Netgear Orbi router (which covers a total of 4000 SQ feet). My router is one floor down. I have ZERO issues with super fast bandwidth and my live stream is perfect in CLEAR mode, as too, is any recording. I also have the Reolink NVR which is connected to my main Netgear (Orbi) router and sees ALL my 5 Reolink cameras just fine. All recordings are in CLEAR mode and 100% perfect. So, overall, awesome quality images, recordings; easy installation and very good iOs apps. I only wish Reolink would make a proper app for the iPad since the iPad app is merely the iPhone app stretched to fit the screen. I’m just blown away by the quality. In case you are wondering why I bought two cameras to face the same direction since these cameras only have an 80-degree viewing angle I wanted to be able to cover most of the northern sky direction. The 3rd camera faces south and covers the only region I am interested in (i.e. the fog belt of Sausalito coming over the Marin Headlands). Hi DrStorm, thanks for taking the time to write such a nice review and sharing with us the picture of the way you used it. You have rich experience in network and know how to DIY as your demand. You may also share with us the picture from the Reolink cameras and that would be greatly appreciated! Recomendo o fornecedor Reolink. As câmeras são muito boas, configuração muito fácil com vários ajustes nos níveis de qualidade das imagens. Além de bons produtos, o fornecedor é muito confiável e prestativo. Hi Alessandro, thanks for your review and we are sorry that we don’t have the Portuguese support now. Alessandro, quanto de imposto de importação vc pagou? 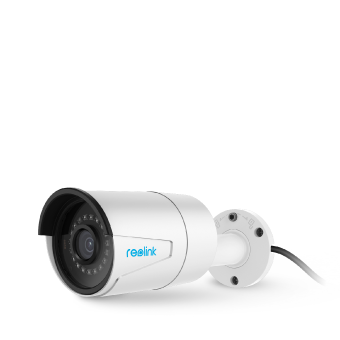 I own three RLC 410 cameras and must say they are easy to setup and use making them great security devices for novices and experts alike. The cameras are well built and have handled temperatures as low as negative 40 degrees over the last couple of weeks here in Alaska. What I like most about these units is the clarity of the video images they produce. Reolink support has been outstanding, they are very responsive and provide answers to my questions the next day. I look forward to expanding my security system with Reolink products. Hi Ray Morgan, we are extremely grateful for your review and hope we could provide you with more satisfying products and service! Does this camera include a built-in speaker or an audio cable for audio out? built-in speaker, but you have to go into the Encode Settings and check the box for “record sound”. It is not enabled by default. Hi SD, yes, the RLC-410 has a built-in speaker but it doesn’t have an audio cable for audio output. The audio is encoded in the stream and you’d hear when you view the video. I have installed two of these and both working exactly as expected. Installation was even easier than I anticipated. Once the camera was in the general location I wanted I was able to fine tune the coverage area by adjusting a few screws. The motion sensors are great and can be fine tuned, as well, to make them more or less sensitive. The PC client and phone app work great for managing settings on the cameras as well as remote viewing. I was able to set up email alerts so that I get notified of motion when I am not at home. I have received a few firmware updates since installing the cameras. 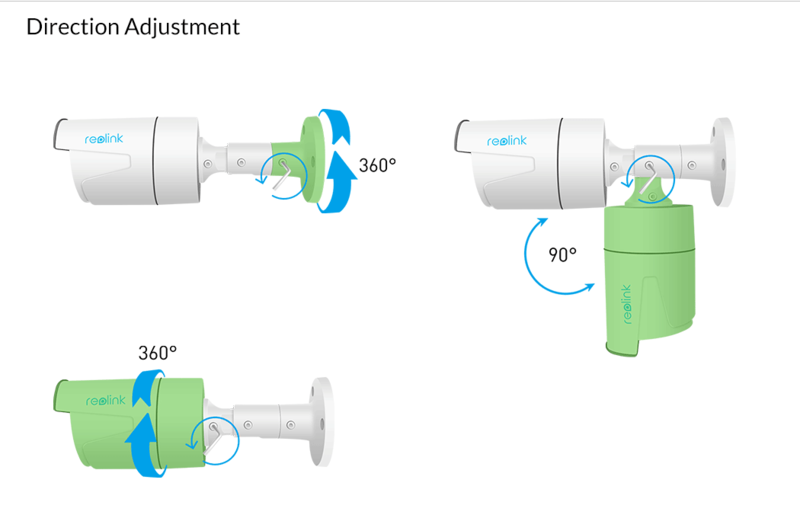 Its good to see that Reolink continues to develop and improve their products. Hi dbmiles, thanks for your review! Online feedback is precious to us and we appreciated that you took the time to share your experience with us. 4mp camera sensor is pretty good, night time tends to white out faces, but clear pictures otherwise. Only big complaint is the inability to have consistent connectivity with blue iris, have been able to get working but not reliability, constantly losing signal, but not for any extended period of time. Hi Josepj Alexander, thanks for your review and sorry about the issue. Please kindly contact us at support@reolink.com and we’d help you to solve your problem. I purchased 2 of these cameras to be part of a DIY install. The cameras are solid quality, I was very surprised how sturdy they felt when unboxing them. I ran network cable to both, connected to a POE switch and then quickly found them via the mac client to complete the setup and tweak the settings to my likings. The fact these camera support direct FTP images and video was great, this allowed me to use my own internal solution to record and store the files. Hi Matthew M , thanks for your review and sharing your experience with us! The RLC-410 is one of the most popular Reolink cameras for users to DIY. Hi Nicholas, thanks for sharing your good experience on Reolink products and recommending the camera to other users! I purchased this camera along with a 411 and two 420s. The camera is great, and I highly recommend the 411 as well. The zoom and focus of the varifocal lense is amazing (reads plate numbers). Only gripe is no playback unless using reolink NVR system. So I’ll be switching to a different client software. Hi Trevor, thanks for your review! Sorry that the RLC-410 does not have a built-in SD card since it is the basic model, and users have to record the video with a NVR or record to the PC via Reolink Client software. The recordings will be saved as .mp4 file and you may easily play it in most media player software. Just got this in and hooked it up and it has superb quality! Definitely better than others I have tested and at a great price! We are so glad to know you like it, thanks very much for your support of Reolink products, we can’t begin to tell you how nice it is to hear words of encouragement appreciation and praise. It is indeed our corporate goal to be the best in the market and through our hard work earn the loyalty and love of every single customer. How far away can it read a license plate at night and during the day? Seems like I got a bad one. Reviews have been great but this one seems to be DOA. Tried it with a power adapter and my PoE switch. The camera supports the 12V power adapter, and when powered by PoE, the voltage is 48V, it supports 802.3af. It would be greatly appreciated if you can write to our support about the symptoms of the problem, we will try our best to solve it for you. So if i use Poe with at least 48v camera i ok? Thanks very much for your support on Reolink product. This camera supports POE 802.3af standard, voltage should be 48V. How do you change the camera’s default IP address, when i plug it in for the first time to my router? Thanks very much for requesting information about our products. By default, the camera uses DHCP to get an IP address from the router, there is no static IP address for it. how do I flip the image so I can install from my roof? This is the second camera I have purchased from Reolink (the first one was a C1) and it works well with the Blue Iris software, It replaced a generic camera where the IR leds were progressively failing. The difference between this Reolink model and the generic is massive. Build quality of the camera appears to be good however it is yet to see how well it will weather the harsh Brisbane (Queensland Australia) conditions. Having POE as standard is excellent (others charge extra for the POE option). Quality of night vision is very good. Initial setup is not hard so long as you use the bundled software. As my Blue Iris setup is on an old laptop the camera is set to run at 1080p at 10 frames per second. Recording quality at that setting is very good when compared to the previous camera. Unlike the previous generic camera no manual focusing was required and the IR leds do not interfere with the camera in any way (cheaper cameras can cause whiteout due to the IR led not being properly screened off). Let me just say if Reolink can keep this up I will be sticking with their products. 5 out 5 from me. Hi David, thank you so much for taking time to write a nice review for us! Also we’re very glad that users would share the pictures with us! Have a nice day! Does anyone know if this camera will work on a Lorex NR900 NVR? I’ve hooked one up to my PoE switch and it works fine running on the Reolink software on my PC. I can scan for it (and see it) through my Lorex NVR but can quite seem to come up with the proper settings to get it to work. Hi Jeff Levine, the Reolink camera is onvif 2.1 compliant and the default port is 8000. Also you may contact support@reolink.com for more help. Can I know if the Motion detect triggers storing of videos over FTP? Hi FongJeng Kum, yes, the Motion detect will trigger storing of videos over FTP. Does this rlc410 product include the power adapter? Hi FongJeng Kum , we are sorry that the RLC-410 is a PoE camera and there isn’t power adapter in the package. But if you need it, you may purchase it at https://www.amazon.com/Reolink-Camera-Power-Supply-12V/dp/B01JRHVJLK/ref=sr_1_1?ie=UTF8&qid=1491671924&sr=8-1&keywords=Reolink+DC+adapter. Thanks for the link, however, I am looking for UK Plug type. Do you sell those? If not, can I get a compatible one? Hi FongJeng Kum, yes we provide the UK plug type for UK users. I would use the camera to monitor docking of my boat and I am mainly interested in a still picture/image that can be triggered remotely. 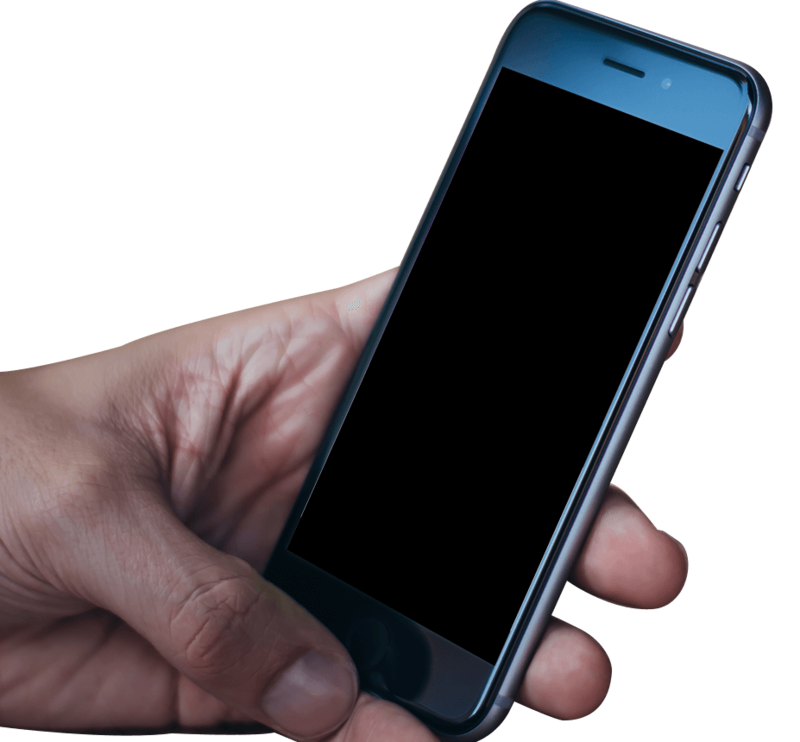 Q1: There is an alarm system in place, that can provide an electric signal or contact to trigger the camera (request a picture/image). The signal from the alarm system is in turn is controlled by an SMS message from my cell phone. Does the camera have a feature or do you have a product that allows operating it in the above mentioned fashion? Q2: Can the camera send an image to an email address (no browser involved)? 1. The camera will only be triggered when detecting a change in the picture, I’m afraid an electric signal or contact will not trigger the camera. 2. Yes, the camera will send an image to an email address after you configured it, no brower will be involved. Can the IR feature be turned off to keep the spiders away at night? Dear BDunn, sorry that the IR LED’s on the camera cannot be turned off. Hi, what’s the most of these you can use and record at the same time without the NVR? Is this number increased if you buy the model with built in SD card or if you use a NAS to backup instead of the NVR. Does this camera work with home automation system based on Z wave Technology (e.g. Vera, Fibaro, etc). Do you can provide http:// pathway in order to be integrated in Z wave system? Thanks very much for your interest in our product. Sorry that this camera does not support Z wave Technology. This camera image quality is awful, both in the app and through the web browser the image quality is awful and theres an odd grain effect making it practically useless. We are sorry for any trouble caused. Would you please kindly take some snapshots and send to our support team, they will be very glad to help. I bought 3 of these and a RLN8-410 NVR and I think they are great. I bought 3 RLC-410’s to add to the couple camera’s I already have. They make it so simple to install with the hardware and a template where to drill the holes. After a easy install I hooked all the camera’s up to the NVR and was rolling. Having them all linked to the NVR and being able to see everything on all my devices my TV, monitor, computers, and of course my phone as well. I very satisfied with the product and have not had any problems after 6 months of using the system I set up. Thank you for your support for Reolink and sharing your comment here. We’re thinking about purchasing the RCL-410, but would like to know whether we could connect the camera to an Ethernet port on a Wi-fi range extender plugged into a power socket on the house mains, connected to the network/ internet? I realise a wireless camera such as the RLC-410SW may be better, but aesthetically our preference would be the RCL-410..! In that case, RLC-410WS will be much more stable. The connection and configuration in your plan can be more complicated but less secure/stable. I’m thinking about purchasing the RLC 410. Does the camara have to be connected with wires to the router and power outlet? Is there a wireless one? Also, How do you record the events? If you need the wireless version of this model, please check /product/rlc-410ws/ and with this model, it will record to its SD card on motion. What is the max Watt draw on this camera? In am very please with the camera and plan on getting more. I am shopping for a new Poe switch and trying to determine how many watts 8 of these will use. Thank you for your support for Reolink. It’s 5.5W for one. Very impressed by the build quality and feature set of this camera. Setup and install was very simple and quick. These cameras have been rock-solid for my client for the past 5 months, and I’m recommending them in other locations as well. Works perfectly with the Synology NAS box that they were installed with, and firmware updates and other configuration have been quite simple. Very pleased, and hope to keep using reolink’s products in the future. I ordered two of these at the beginning because of a youtube video I had watched where the user was using the cameras for the footage in the video. I was sold once I saw the quality of them. Got them both connected to PoE switch and fired up the provided Reolink software and violia the software found the cameras seamlessly. I have them setup to record on motion detection only and so far they catch most everything that moves. I have 3 of these running against a Synology NAS and powered by a UniFi PoE switch for about 7 months now. They never miss a beat and provides brilliant footage of the surroundings of our house. The audio recording feature has also proved useful a couple times with handymen working on our house. One camera suddenly lost night vision a few weeks ago (IR LEDs won’t power on – I suspect a gasket has leaked so rain water came in). The support is on to this and it looks like they will solve it to my satisfaction. This was a test purchase for me to see how well the Reolink brand really was before I splashed out for some more expensive cameras (I’m going to get a 423). I’m glad to say that not only is the camera great, but the shipping was also quick. This is a great little camera. Its the usual ‘bullet’ shape and size, and works really well. And the price is also very reasonable. I have this wired up with PoE, and recording to my QNAP NAS. Works a treat. The mobile application is also very good, and the notifications by Push are very handy as I have it set to notify me if someone drives in the driveway. Its also very good that Reolink have an application for the Mac. Not many other manufacturers do, and this makes life a lot easier for me. I have had this Camera for over 2 years now and it is still one of my favorites, of the 5 different cameras that I have it continues to be an impressive camera from the night time visibility to the use of the microphone to listen to kids if needed outside. 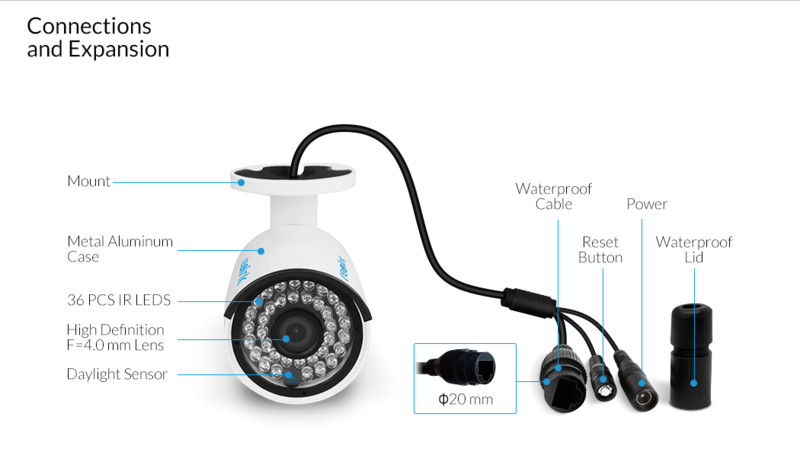 I bought this cam as the test for my planned home security system. The camera itself has been working well in my testing and I am happy with it so far. my one issue has been with the NVR software were there is a bug and it can not record to a network share. I have been in contact with Relink support on this matter and I am waiting for a fix to be release. Für den Preis habe ich gleich beim zweier Pack zugeschlagen. Die Kamera arbeitet super mit der Synology. Ich werde diese Kamera wieder kaufen und weiter empfehlen.